try to purchase a new battery.. mostly in that case the battery is the problem.. i'm sure after you have replaced the battery your phone will be back to normal..
Use phone for Navigation.Can anyone help with installation of Garmin Mobile XT software? Otherwise handset is ecxellent. is it possible to format dis phone? how can i do tht? Is there any way to change the font size in N70? Below some troubles are making me angry with this phone. 2008 jan i have purchasde with good hopes. but now i am thinking to sale. in my future i will never ever purchase nokia phones. my phone works normal in the offline mode.whenever i insert a GSM chip the phone stops responding.sometimes i would be lucky to use for 20 minutes.this started just 2 months after buying the phone.i need help. how do i turn on my phone? N70 is an amazing phone. I am using my N70 from the moment it was available in India. I am very much comfortable with this phone. So better buy the phone guys..........! Updating again. Try downloading newer firmware. That will enable your N70s to run faster. And stop complaining. All phones have glitches. 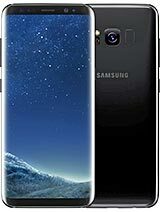 Stop buying fake phones (mostly manufactured from China, they all have poor quality so make sure you CHECK the packaging!) and be aware of the apps you are putting up in your phone. Or, install them at your own risk. Stop being dumb, try learning new things for the benefit of your phone as well with your self. Also, I noticed that some people post stupid comments about this phone. If you have never use the phone then you guys act really stupid. I see this is a very popular phone.. so ill just but i-phone i think.. is i-phone great phone? how do i send my bluetooth files from messages to gallery. Am trying to save but am getting a warning "Music player: Not enogh memory to perform operation. Delete some data first", yet there is nothing in the gallery. How do i go about it? low quality. n70 is not a durable phone. i already had my n70 fixed twice and i don't even consider myself too careless. i also have difficulties with the bluetooth files that are sent through the phone's inbox. the phone also slows down when too many applications are loaded into it.